Access the My Net Dashboard by opening a web browser and navigating to http://wdrouter or http://192.168.1.1. On Mac OS X, use http://wdrouter.local or http://192.168.1.1. 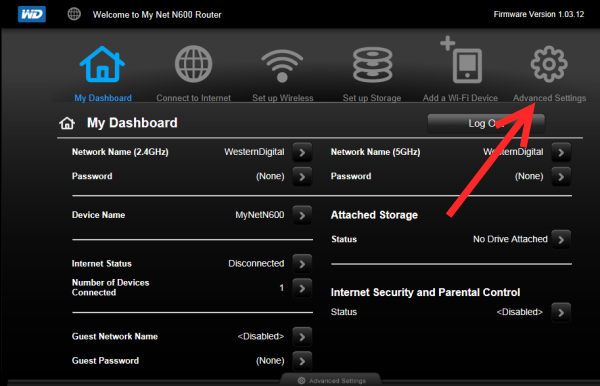 Log in using the My Net Router's login and password. 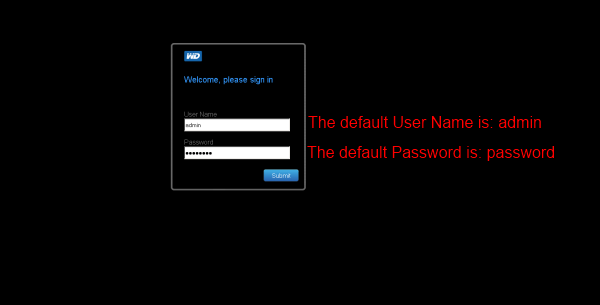 By default the login is admin and the password is password. Click on the Advanced Settings icon. The WAN tab will be selected by default. 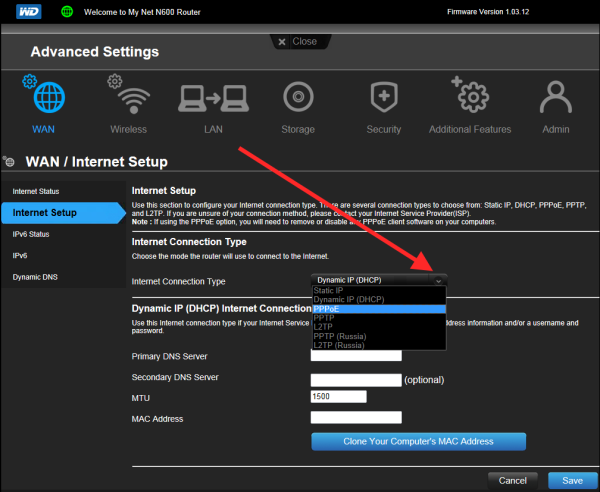 Select Internet Setup in the left-side frame. 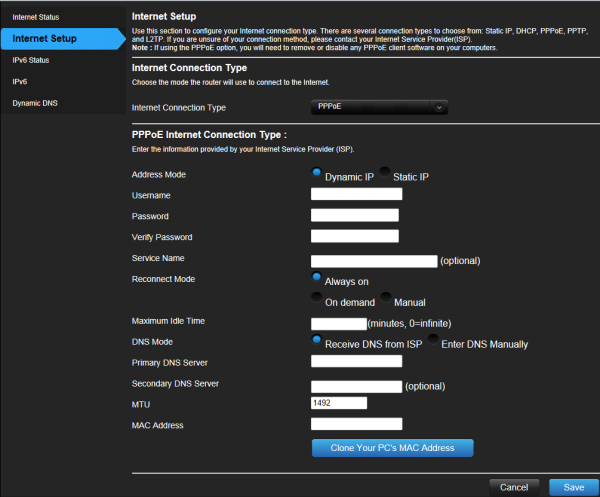 Click on the drop-down menu next to Internet Connection Type and select the option for PPPoE. The structure on the screen below will change so that the information provided by the ISP can be submitted. 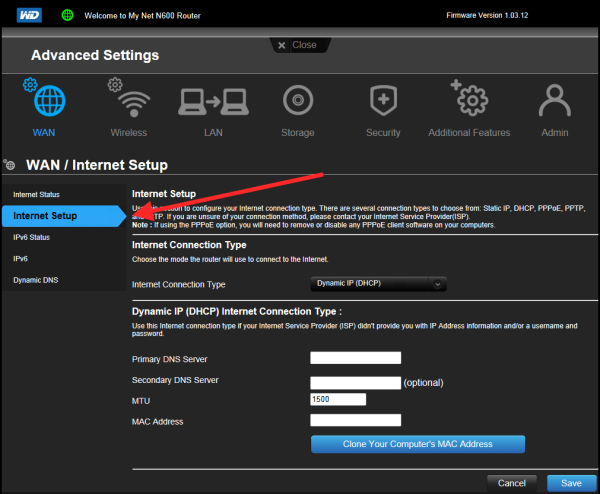 Important: The information to be submitted in order to establish a successful Internet connectivity through a PPPoE connection is provided directly by the ISP (Internet Service Provider) and not by Western Digital. Please contact the ISP in order to obtain it. When all the information is added to each field, press Save and the router will reboot itself with the appropriate configurations in place.